While attending a month long Dawah course when I was a teenager, one of our Islamic studies instructors, Dr. Mahmood Ghaazi, from Islamabad, Pakistan, told us about an official trip he had taken to the Vatican. His delegation met with a group of high priests. Dr. Ghazi asked one of them, “Do you have any words that you know for certain, 100%, that were spoken by Jesus Christ?” The priest felt a little ashamed, but he replied honestly that there were no words that could be traced authentically to Jesus – the language he spoke had been forever lost. Then the priest picked up, “What about Muslims? Do you have any words that you know for certain, 100%, that were spoken by Muhammad?” Dr. Ghazi smiled (as I’m sure you are smiling too). He replied, “Not only do we have libraries of books of words we know without doubt were spoken by our Prophet (sal Allahu alayhi wa sallam), we have a science called Tajweed. The study of Tajweed is to teach the student how to pronounce every syllable and vowel exactly the way Prophet Muhammad (sal Allahu alayhi wa sallam) said it!” Indeed all praise is due to Allah, who protected our Deen in such a way. But, brothers and sisters, have each of us done our part in protecting those words of Allah and his messenger? Rasul Allah (sal Allahu alayhi wa sallam) said, “Ballighu (notify, transmit, tell others) about me, if only with one Ayah.” How do we do that if we ourselves do not understand the Ayaat that were revealed? How can we presume to know a text when we don’t even understand the very language in which it was revealed? In order to fulfill the mission Allah and His Messenger (sal Allahu alayhi wa sallam) have sent us on, it is imperative that we become literate in the language of Islam. The task of teaching others about Islam – for passing on that one Ayah at a time – is too important for us to waste yet another generation. Literacy and education of our Deen has to flood our communities in order for us to advance as a guiding nation. 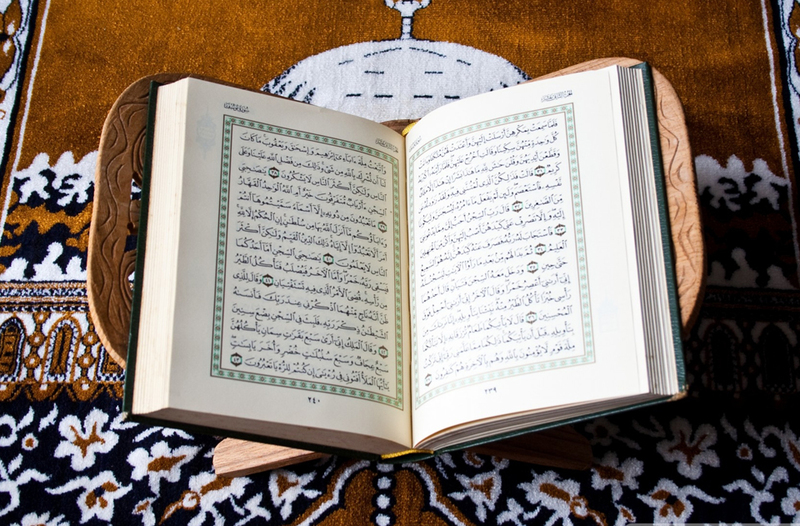 The Qur’an is Allah’s way of communicating with us, of directly guiding us on his path. But has that communication actually occurred? Look at any college level “Communications” textbook, and it will tell you that the definition of “communication” is that a message is sent, and that message is received with the understanding that the sender intended. If I say something and you can’t hear me because my microphone isn’t working, or you have gotten bored and are daydreaming, or you don’t understand the language I’m speaking, then true communication has not occurred. To quote one “Communications” textbook, “If my meaning was not conveyed, I question if communication has occurred.. Language may be engaged in; words have transpired. But not an act of communication.” The same is true for the words of Allah and his messenger. Have we really allowed Allah to communicate with us, if we have not received the meaning of His words? Just because we understand a watered down, weakened English translation of the Qur’an doesn’t mean we fully understand the Qur’an. There is so much subtlety and nuance within every language that simply can not be translated. If Rasul Allah (sal Allahu alayhi wa sallam) spoke to you directly today – and naturally he would speak to us in Arabic – would you understand what he was saying? Or would you need a translator? You would want to capture every moment, understand every piece of advice he was giving you, but instead, you might be standing there helplessly, unable to communicate with him, or to understand his wisdom. Those before us who did have that chance were changed by it. Shortly after the first Muslim migration to Habasha, Rasul Allah (sal Allahu alayhi wa sallam) recited Surah Najm at the Ka’bah. As he recited, everyone – Muslims and non-believers – listened in rapture to these Arabic verses. At that moment, Rasul Allah (sal Allahu alayhi wa sallam) fell to the ground in prostration to Allah. The Muslims followed him, all of them falling in Sajdah to Allah. every disbeliever in the gathering, every one of them, also fell in Sajdah to Allah! They were so moved by the beauty and complexity of the Qur’an, that they couldn’t deny the message contained within.
] The Arabic word for this deafening noise is Saakhah – the blowing of the trumpet -that will announce the resurrection and humanity’s repayment for its deeds on earth. It will be an unbelievably overwhelming moment. Looking at the word Saakhah, you would assume that it’s pronounced in two syllables, or beats. But in Arabic, the word Saakhah is recited in a 6 count prolongation. Listen to it being recited. It is as if the recitation of the word itself is like a trumpet being blown. In English, we can not prolong the words ‘deafening noise,’ so we don’t get the full strength of meaning that Allah intended for us. Only someone who understands the language can pick up the power of each word Allah has so carefully and profoundly chosen to give us. Here’s another example. If you, as an English speaker, overheard a master telling his servant, “Get me water,” you would understand that the master wants the water right away, not two hours from now. It doesn’t say that anywhere. But it’s implicit. It’s part of the nuance of the language. Whoever loves Allah must, by virtue of that true love, love Rasul Allah (sal Allahu alayhi wa sallam). And whoever loves Allah and His Messenger must, by virtue of that true love, love the Arabic language chosen by Allah. It is the language spoken by the greatest book. It is the language spoken by the greatest human. It is the entry way to understanding all of the other Islamic sciences. Someone who never learns Arabic, can never fully understand the Qur’an and Sunnah. What does learning Arabic do for us? Two: It is our bridge to the culture of Islam. Undoubtedly, with the teaching of language comes the teaching of ways to think and behave, through understanding of the culture that speaks that language. As a summer job one year, I taught English in a Muslim country and ashamedly had to skip the numerous pages that spoke of alcohol, dating, and lewdness. This is the culture of the English language. Imagine the blessed culture and knowledge awaiting those who would learn Arabic.